The following article is written by a contributing writer at medicalassistantcareerguide.com. Melanie F. spent 11 years working at a neurological and neurosurgical office at Memphis, where over the years she has gained significant experience as a RMA. 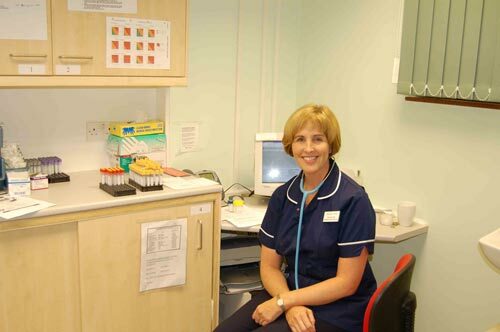 In this article she describes one day in her job and gives insight into daily routines of a MA. A day in the life of a medical assistant or MA is typically quite rewarding. I have been in this type of occupation for over a decade. Although the job is never boring it is often an exhilarating, rewarding and frustrating experience all rolled into one. I begin my day by arriving early. This allows time to stock the exam rooms fully and include everything necessary for the doctor to see the patient. Stocking the room may include making sure there are plenty of informative brochures, magazines or coloring books for small children. Items like these help keep the patients busy and happy, thus they are not focused on the waiting time or experiencing unnecessary anxiety. This is also a task I perform at the end of the workday if time allows. It is imperative to browse through the patients’ medical records before the appointments start for the day. This ensures that the doctor has everything necessary to make a diagnosis or formulate the treatment plan. For instance, if the patient had blood work, x-rays or other diagnostic testing after his last office visit, I make sure that the results are available in the chart or the x-rays or disc are ready for viewing. The physicians I work for typically notify me or the office staff of his arrival time. This may vary due to each day’s schedule. Doctors are typically extremely busy and the day may include a deposition, making rounds at the hospital, meeting with drug reps or emergencies that otherwise hinder his schedule. Once I ascertain the physician’s arrival time, I start filling the exam rooms by calling back the patients. Realize that the patient may become engrossed in a magazine article or TV and not notice you calling his name. Always smile and maintain eye contact with the person no matter how busy you become. Do not be surprised if an occasional patient falls asleep in the waiting room, particularly if there is a long wait. I have seen this happen numerous times and there are even occasions when saying the patient’s name a few times does not awaken him. I normally tap the patient on the shoulder or gently shake it if this occurs. The patient is often embarrassed so I treat him with kindness and compassion and usually throw in a funny anecdote about times this has happened to me. When situations like this occur, my attitude helps put the patient at ease and allows him to retain his dignity. I often assist senior citizens or disabled persons to and from the exam room by holding onto one of their arms or by pushing a wheelchair. Slow your pace and make idle chitchat so that the patient feels at ease. Conversely, if you work in a pediatric facility, remember that young children often experience great fear about seeing a doctor. They may have an extreme fear of blood, needles or strangers outside their family. With pediatric patients, I find it helpful to squat down when talking so that I am at eye level with the child. I generally keep tiny stuffed animals with Velcro tabs hooked on my stethoscope or tucked in my pocket. This helps put the child at ease and distracts him. It is crucial that you keep the patient’s dignity, comfort and fears in mind at all times. A major portion of your job is to treat the patients with compassion. Imagine how you, your child, parent or loved one would want to be treated and act accordingly. If emergencies or other hindrances prevent the physician from arriving in a timely manner, it may be necessary to take the patients vital signs 10 to 15 minutes after the receptionist checks him in. Many offices have a practice of doing this to ensure the patient doesn’t think he has been forgotten. This practice is also important where blood pressure readings are crucial to the treatment as in cardiology patients and senior citizens. Taking the vital signs after the patient has time to settle down in the waiting room is quite important, particularly for patients who are running late and feel stressed. Other patients become quite angry after a long wait. Ascertaining the vital signs before the patient becomes unduly stressed is a good way to get a true reading. I have worked in offices that have a separate room for taking vital signs although some doctors prefer you do this in the exam room. This most often includes taking the patients weight, temperature, blood pressure and heart rate. In an obstetric office and other types of practices, asking the patient to leave a urine sample is often necessary. If so, I never assume the patient knows what to do. I always instruct the patient on the proper way to obtain a sample even if this is not the first office visit. This saves the patient time and money and prevents her from needless worry or time off her job if she has to come in to give another sample due to skewed results. After flagging the room to notify the doctor that a patient is ready, I make use of my spare time by calling another patient back or taking care of other tasks. It is often necessary for you to accompany the doctor during the exam or to hand him slides or other necessary tools. When your services are not necessary in the room, use your time wisely. This helps get the patients in and out of the office in a timely manner, thus keeping the doctor and patients happy. Once the doctor examines the patient, he or she hands me the chart with the instructions and rattles off further tasks I need to handle. Always be ready with a small notebook and pen to take notes. I have learned to be ready to follow the doctor at a fast pace down the hallway so he can relay his instructions. Some doctors do not take the time to stand and patiently explain what is necessary. Experience has taught me to ask if I do not understand the instructions. It is much better to ask than to schedule the wrong test or give the patient incorrect information. Instructions may include scheduling an MRI or other types of tests at another facility. I often do this while the patient is still in the exam room or after escorting her to the waiting room while I take care of the task. Setting up tests is often frustrating since insurance companies generally use only certain facilities. If the task is time-consuming, the protocol at your office may allow you to tell the patient you will give him a call later with further instructions. Failing to take care of the task within a reasonable period is a disservice to the patient. The wait often causes undue worry and stress. After a while, some medical issues may seem commonplace to you, but to the patient it may be all-consuming and create extreme stress. Again, always keep the Golden Rule in mind and treat the patients the way you would desire if you were in the same situation. Just because you are quite aware that the person will live and thrive with the medical situation, it doesn’t mean the patient is convinced of that nor has the same expectations. After the patient exits the exam room I prepare it for the next patient according to office protocol. This often includes changing the sheets or paper on the exam table, discarding hazardous waste properly and putting out slides or instruments. In my years of working in the medical field, physicians have reprimanded me many times, sometimes unfairly. Keep in mind that this is not a personal vendetta against you. Doctors are often Type A personalities and high achievers. They expect and demand perfection. Although everyone is human and makes errors, sometimes a medical mistake has life-threatening consequences. Even the kindest physician will call you to task if he feels you are not performing your job properly. Handle the situation professionally and respectfully by explaining in a concise manner what occurred. I always apologize sincerely if I am in error and do my best to ensure the same mistake does not happen again. Patients often think of additional questions while they are leaving the parking lot or later on. New onset of symptoms may occur or existing problems may worsen. This results in the patient calling the office and leaving a callback. Some messages are appropriate for me to handle but others require the expertise of a R.N., insurance clerk or other office staff. Don’t be surprised if you must stay after hours to call numerous patients back after consulting with the physician. Document concisely and carefully what transpires in the conversation with both. Be well versed in the HIPPA protocol so that you do not give out private information to someone the patient has not authorized to hear it. 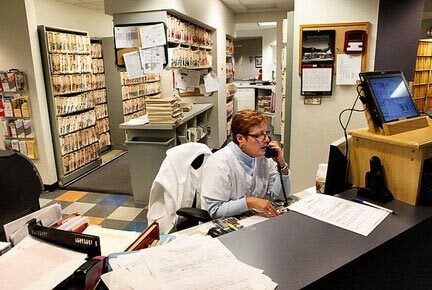 Late hours, disgruntled patients, physicians and frantic schedules are common in the daily life of a medical assistant. Generally, the benefits greatly outweigh the detriments. The innate satisfaction I get from compassionately helping the patients is priceless. I have discovered that physicians that are difficult to work with are often the most generous. Don’t be surprised if you receive unexpected perks at times throughout the year. A medical assistant’s job is difficult and sometimes thankless, yet I have found overall that it is quite rewarding. This career choice provides me with great satisfaction in knowing that I am performing a necessary service for sick and hurting individuals. It provides me with much joy because I feel that I make a positive difference in the life of my patients.